Major League Fishing worked with Mid-Maine Bass Fishing to keep the event quiet while the anglers were competing. “It was so much fun to have these professional anglers here,” said Mike Guarino, Maine Guide and owner of Maine Wilderness Tours, “It gives the local economy a boost and it highlights the great fishing that we have here in Maine.” Guarino is also a member of Mid-Maine Bass Fishing. 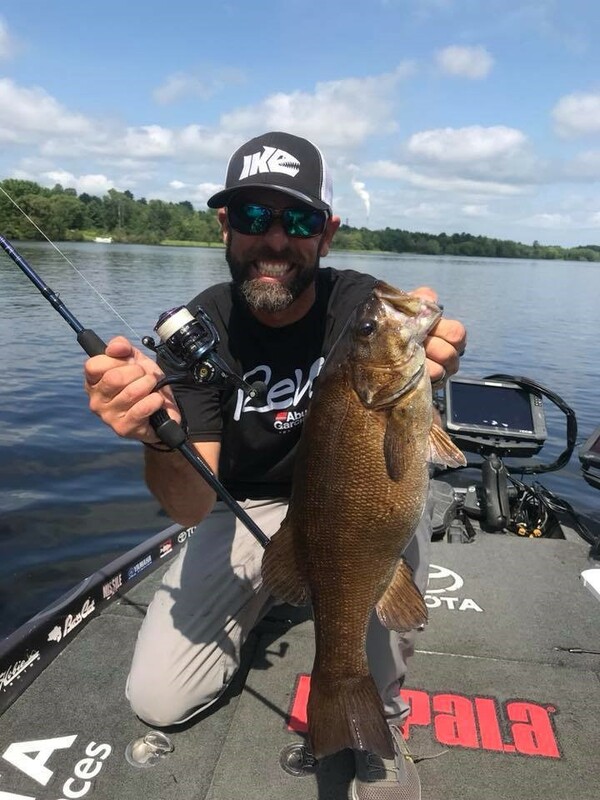 Mike Iaconelli and a Maine smallmouth caught on the new Abu Garcia Ike Series rod and reel! When asked about what his strategy is for fishing in these types of tournaments, Iaconelli said that he tries to “match the hatch” and use lures that will mimic what bass are naturally eating during that time of year. It is a strategy that fly fishermen know well. The more natural your lure, the more opportunity you will have for getting a bite. 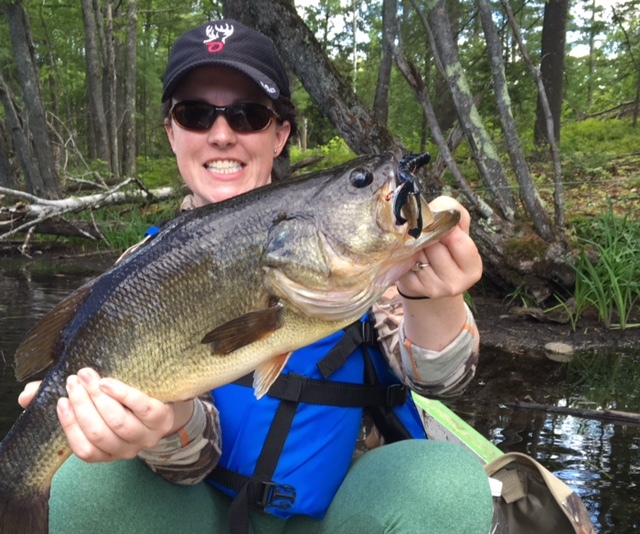 Maine and resources like the Mid-Maine Bass Fishing help all levels of anglers get the information the they are looking for to ensure a great outdoor experience. 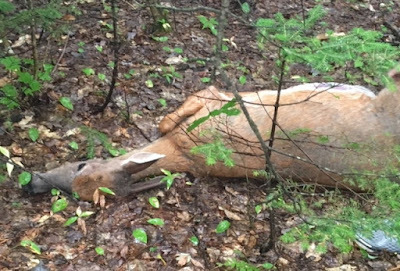 “If you hunt or fish or like the outdoors, it is the most magical place ever. I really like Maine. In the late summer and early fall, it is a beautiful time to be up here fishing” said Iaconelli. Mid-Maine Bass Fishing works in partnership with the Mid-Maine Chamber of Commerce to be the go to for all things related to fishing. It is a resource for local and statewide anglers as well as travelers looking to pick a spot for a great trip. It provides information on where and what amenities each boat landing has, where to go shore fishing, where to stay and much more. You can watch interviews of the anglers who took part in the Major League Fishing’s Summit Cup, while they were here in August, on the Mid-Maine Bass Fishing Facebook page. Starting on Saturday Feb 16th from 2-4pm, you can watch the Summit Cup on the Outdoor Channel, with the finale airing on March 23rd. You can watch all of the anglers fishing the same ponds that you have access to, plan your summer fishing trips AND you can see how far Mike Iaconelli makes it during the competition.